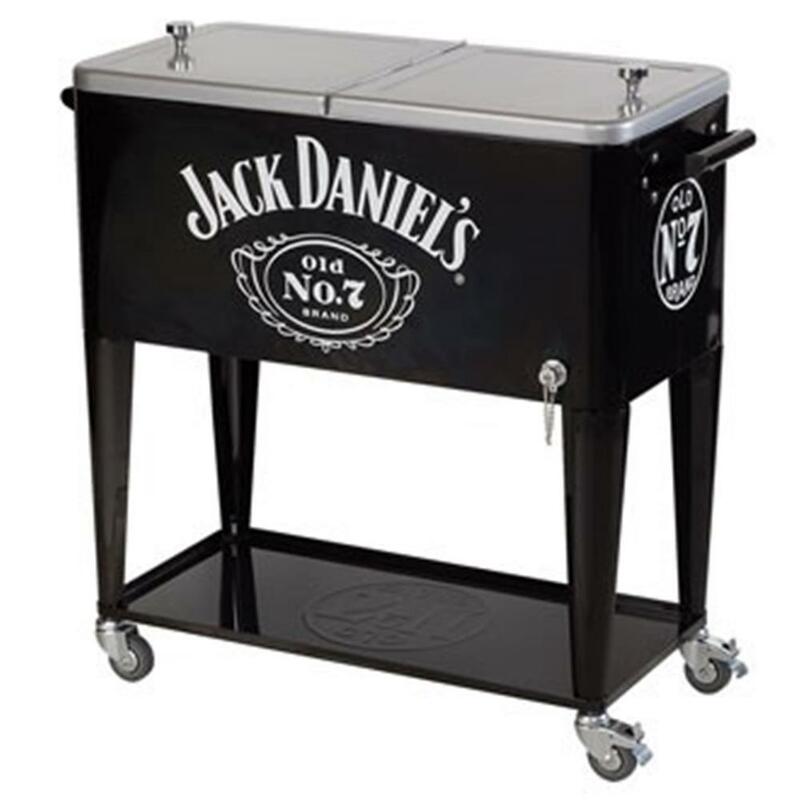 Jack Daniel's® Rolling Cooler is loaded with fun and ready to go! 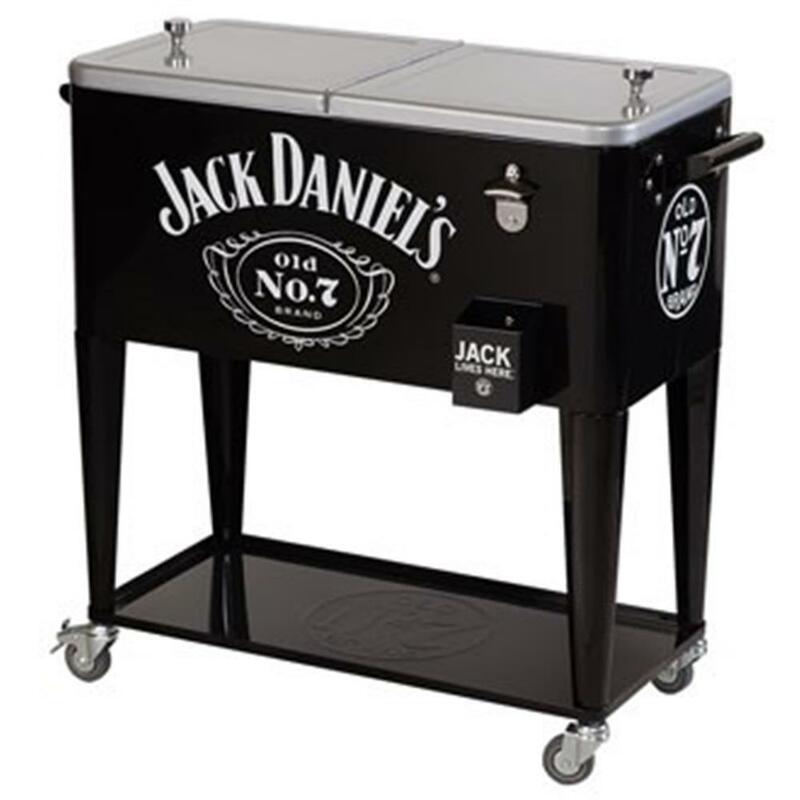 Sturdy, black powder coat exterior features Jack Daniel's graphics to fit any decor. 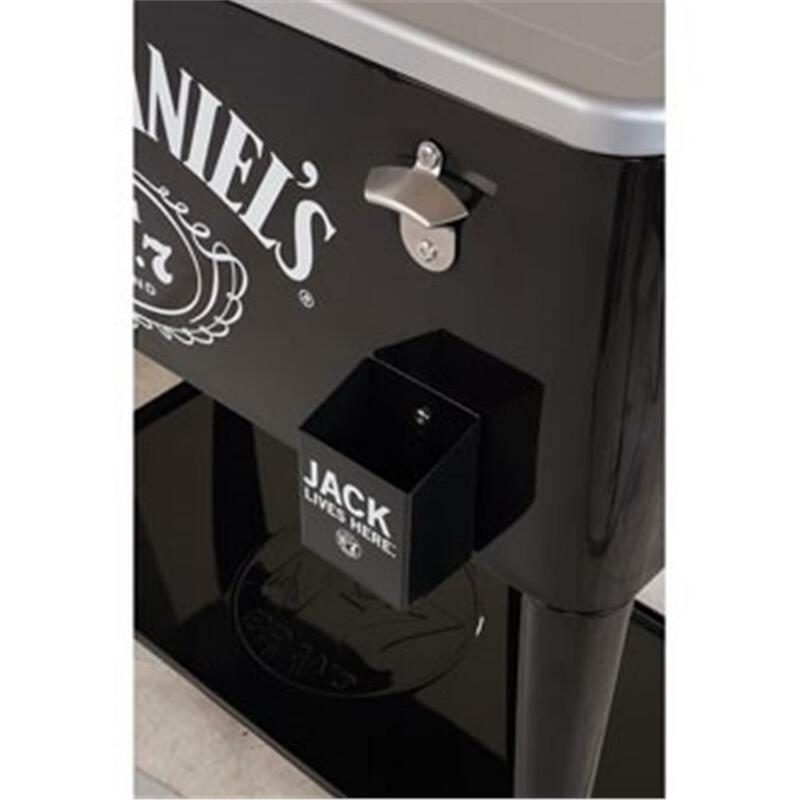 Easy-grip handles and wheeled design with two locking casters lets you move the party indoors or outdoors, while the bottle opener and detachable steel bottle cap catcher keep guests close to the action. Lower shelf with embossed Old No. 7 logo provides plenty of storage space and divided lid offers quick access to beverages. Water tight, molded interior with insulated liner keeps drinks cold for hours. Side drain plug makes clean-up a breeze. 80 Quart capacity. Easy assembly required. Dimensions: 36"W x 34"H x 17.5"D Weight: approx. 44 lbs.